Big swords and slow-motion make us feel good on the inside, so we’re obligated to share this trailer with you. Before you gander at its splendor, here’s some context: this is a side-scrolling action RPG from White Whale Games. 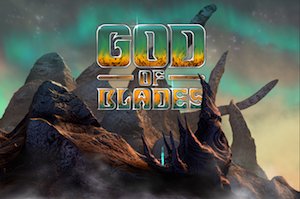 It’s called God of Blades, and in it, users will “assume the role of a nameless spectral king" against a horde of demon dudes. From what we can tell, the action model breaks down to whacking demons with overly large weapons until they fall down. It sounds cool in theory. No word on release other than “soon," and we’re not 100 percent sure what platforms it’ll appear on or, hey, even its price. We’re guessing these kinds of things will be announced on the studio’s Twitter or Facebook in due time.